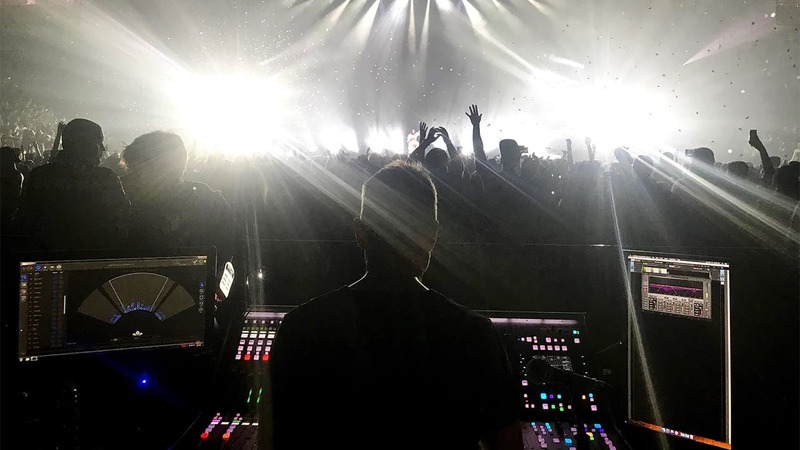 Mixing engineer Philip J. Harvey (My Bloody Valentine, The Kills) shares his live setup and plugin chains, and how he’s created an immersive sonic landscape for every single person in the audience during Lorde's Melodrama Tour. Login to download Philip’s presets for Aphex Vintage Aural Exciter, Brauer Motion, C6, F6, IR-L Convolution Reverb and Vocal Rider. 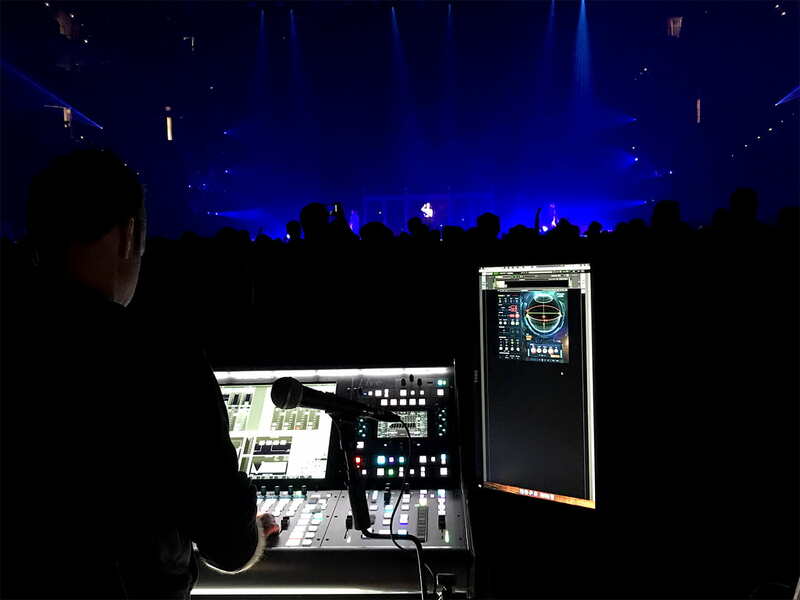 Front-of-house engineer Philip J. Harvey has been touring with Lorde since her rise to stardom as a teenager with the dream-pop-driven sound of Pure Heroine. So what’s next? Enter Melodrama, the follow-up album and tour showcasing Lorde’s personal and musical growth. We caught Philip in between gigs on the Melodrama World Tour to discuss how his live mix supports this sonic evolution. 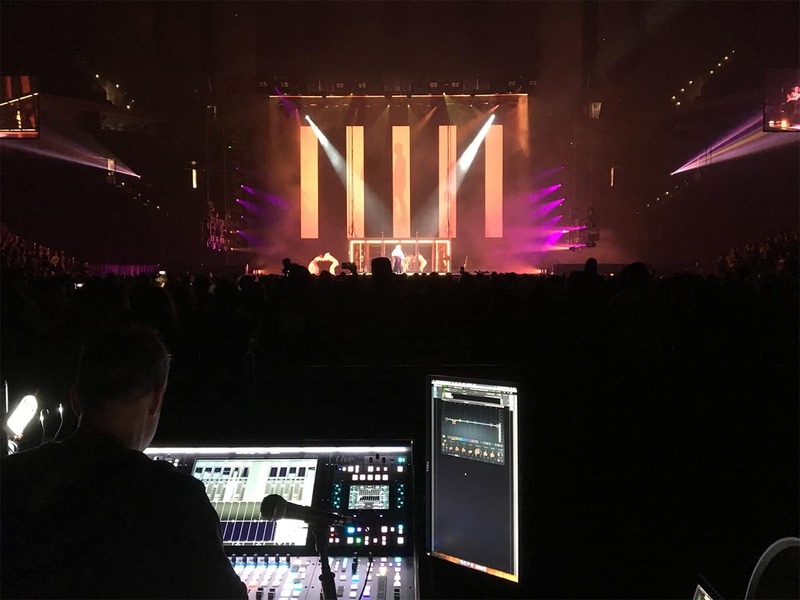 Philip, as FOH engineer for Lorde’s previous Pure Heroine Tour, what’s new this time around with Melodrama? On this tour, we had the opportunity to try different things sonically. For the arena setup, we deployed the SSL L500 Plus console at front-of-house and L-Acoustics’ L-ISA system, a totally immersive 9.1 audio environment with processing and mapping to a multi-line array setup consisting of 3 x 16-K2 plus 2 x 21-KARA loudspeakers with 4 x 16-KARA as extension hangs and 2 x 8 K1 SB center hung subwoofers. It basically allows me to separate and localize my sound sources wherever I want in the house, creating a clear and totally immersive landscape for every single person in the audience. Before I even got in front of the L-ISA system, I used the Waves Nx Virtual Mix Room to experiment and develop a sketch of the mix in a 5.1 setup, which was totally helpful to try out new ideas in creating a landscape for the venues in my headphones way before even seeing the system for the first time. There is a song called ‘Ribs’ that contains a side-chained stereo pad track. The Brauer Motion plugin inserted on this channel gives it an amazing rotational feel, which really adds a new dimension to the song live. Using it with the L-ISA system made the pads sound like they were rotating all across the arena, which was such a cool sensation. What have you been using for Lorde herself? What plugins do you use on her vocals in the live mix? Ella has a very full and powerful voice, which kind of takes a lot of people by surprise. Her vocals start with a DPA d:facto 4018LV handheld microphone, going into the SSL’s onboard hi-pass filter and EQ. 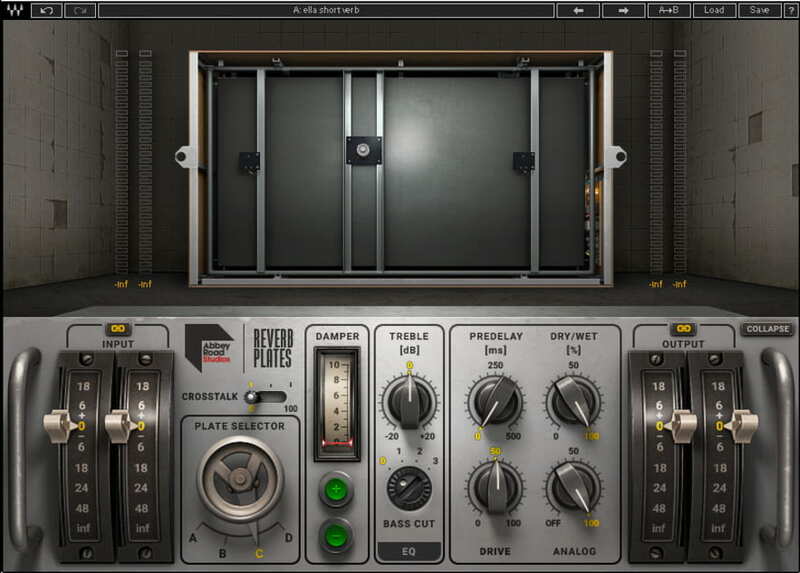 I then run her vocals straight into my plugin chain using MultiRack; the chain starts with the Renaissance DeEsser, going to the C6 Multiband Compressor – my go-to multiband compressor for years – and then to the Aphex Vintage Aural Exciter. Many female singers can sort of take the high-pass up to 200 Hz, and without detriment, but Ella has a bit of a baritone quality to her voice. So for me, it’s just attenuating the low-mid range, which can get pretty thick in the mix sometimes. The C6 nicely shapes and contains her voice subtly without any undesirable artifacts. C6’s two floating bands take care of most of the processing with the first floater attenuating the low-mids in her voice around 170 Hz in the 5 dB range, and the second floater narrowly catching any sibilants that might escape the DeEsser within a 3 dB range. The first stationary low-band is used to attenuate low-end frequencies below the first floating band at 2 to 3 dB, and the fourth high-band expands the highs 1 to 2 dB to bring back some presence post-de-essing. For that sparkle on the vocal, I used to boost the top end with an EQ and maintain it with a de-esser, but doing that would increase the potential for sibilance when she was on the mic. I often found that when you hit the vocal with the de-esser too hard, it can sound unnatural. The Aphex Aural Exciter in conjunction with the C6 totally makes up for any potential dullness and adds a nice presence and vibe to it that I hadn’t discovered before. How do you recreate the layered, widening vocal effects and textures heard on some of Lorde’s biggest songs? In my vocal effects chain, I like to use two different reverbs throughout the set via MultiRack: the Abbey Road Reverb Plates for a short reverb to reinforce the tonality of her voice and give it some extra character; and then I use IR-Live Convolution Reverb with a longer reverb setting using the Sydney Opera House impulse response to give her voice even more depth and expansion. During the bridge section of ‘Writer in the Dark,’ she really wanted her voice to blossom and bloom out with the effect, so pushing the IR-Live Reverb was awesome on her voice during that part of the song. How do you maintain a balance between Lorde’s vocals and the music while maintaining an even live mix without her voice being too prominent? Ella doesn’t want her vocal on top of everything else, she likes the backing vocals even in the mix with her own voice. I love Vocal Rider for taking care of that. I use a 3 dB range to keep it subtle setting it between +1 to -2. I use it to even out her phasing within that 3 dB range, and for any kind of large rides I need to do on her vocal. I’ll manually adjust it with the VCA, but it’s usually a pretty minimal adjustment. As far as evening out the vocal, Vocal Rider has been amazing. If she’s got some loud bursts, it will duck it -2 dB; and if she’s softer on a passage, it’ll bring her vocals up +1. It’s really been super useful and it’s one of my little secret weapons to keep her vocal even within the rest of the mix. I’ve recently discovered the F6 Dynamic EQ, and it has become indispensable when I need to catch some low-end elements that can easily get out of control with bass and drum samples on large sound systems in the 40-60 Hz sub range. It has quickly become my “safety net” where I can easily identify potential problem frequencies with the RTA overlay and tune into them efficiently with the fold away controls. Lorde immerses herself in the crowd in the set during ‘Team’. How do you use a plugin like the Aphex Vintage Aural Exciter, with a vocal mic right in front of the PA without generating feedback and extra noise? If she gets into the crowd, you have to kind of watch for potential feedback, but usually it hasn’t been a problem because of the linear nature of the microphone. I just love the way it sounds on her vocals, especially with the Aphex Aural Exciter and an Ax Mix setting at about 3 to 4. You know, before I first started working with Ella, I thought, “This could potentially be a light singer where I might have to step in and compensate for shortcomings in her vocal delivery?” But that is definitely not the case! She is a very strong singer, producing a lot of volume and character, which is great because you have a solid foundation to sculpt her voice into a powerful instrument. As a live mixing engineer, it’s a real bonus to be working with someone who really stands out with her natural talent. 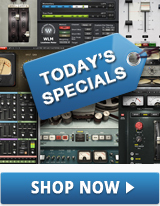 See more stories with the world’s leading live sound engineers.